If you're interested in pursuing a career in the medical field but aren't completely sure what you want to focus on, you might want to consider starting out as a medical assistant. Medical assistants have several responsibilities that include both clinical and administrative duties. Medical assistants are needed throughout the healthcare industry and demand is only expected to grow. According to information published by the U.S. Bureau of Labor, medical assistant jobs are expected to grow as much as 23 percent through 2024. There are many different reasons for this. First of all, many hospitals and medical care facilities are staying open more often, including during holidays, during weekends and for longer hours, requiring more medical assistants as a result. Secondly, there are more senior citizens than ever before as the Baby Boomer generation ages. The more senior citizens there are, the greater the need for medical care becomes. The things you'll learn in a medical assistant program and the experience you'll gain as a medical assistant in the field will help prepare you for numerous different career paths. For example, being a medical assistant will give you the foundation you need to pursue a career as a lead medical assistant, a medical office manager, a clinical team leader, a medical records manager, a healthcare administrator, and more. Unlike other medical professions, you won't be required to go to school for years on end, racking up student loan debt. Medical assistant programs are typically between 12 months and two years long, which means you'll be able to enter the workforce within a relatively short period of time after deciding that you want to become a medical assistant. The medical profession can be a very demanding one. It's not uncommon for some medical professionals to work 60 to 80 hour weeks. As a medical assistant, you won't be required to work nearly as much. In fact, generally speaking, most medical assistants work typical 40-hour weeks, which allows for more personal time while still providing job stability. One of the benefits of becoming certified as a medical assistant is that certification for medical assistants is good throughout the country. In fact, some clinics don't even require certification. This gives you a lot of flexibility in terms of where you want to live. 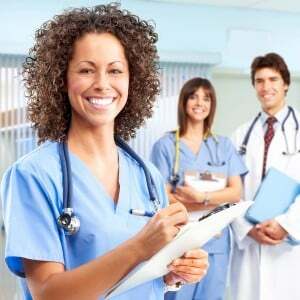 The position of medical assistant is an important one. You will interact with patients and help them feel comfortable as well as make sure that their needs are met as they seek medical care. Seeing patients get the care they need can be incredibly fulfilling, especially when you know that you played a big part in that. Additionally, you'll be working closely with other medical professionals in a team setting, allowing you to develop worthwhile and lasting relationships. These are six reasons why you should strongly consider becoming a medical assistant. 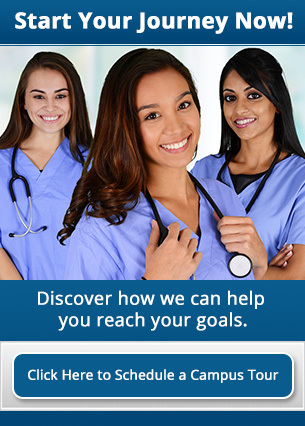 Find out how you can become a medical assistant by contacting us at Athena Career Academy for information about our medical assistant program and how to enroll today.